ABERDEEN, Miss.— In the 23 years that Jennifer Calvert has offered preschool for 4-year-olds in this rural town, she has never filled a classroom. 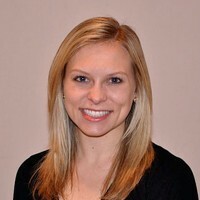 Last year, just six students signed up, even though Calvert has room for 19 in her bright, spacious child care center. Calvert said that many families wanted their children in pre-kindergarten, but simply couldn’t pay the tuition. “Most of my parents are single parents. Many single parents cannot afford $80 a week,” Calvert said on a recent afternoon at ABC Pre-School & Nursery Inc., as children practiced writing letters with a teacher’s help and played in carefully labeled areas of the room, packed with toys, books and dress-up clothing. There is good news ahead for Calvert, who expects a packed classroom for the first time ever in August as part of Mississippi’s first foray into state-funded preschool. Calvert and a smattering of local school districts, child care centers, and Head Start programs will all benefit from the addition of $3 million in state grants approved by the legislature. The money will serve nearly two-dozen school districts this year and reach an estimated 2,400 4-year-olds during the next two and a half years, according to Robin Lemonis, director of early childhood, literacy, and dyslexia for the Mississippi Department of Education. That’s fewer than 6 percent of the state’s population of 4-year-olds. Calvert will be able to lower tuition, train teachers in reading and assessments and outfit her classroom with an electronic whiteboard and a new, touchscreen computer. The long awaited state funds will also help buy materials and supplies, improve teacher quality, and jump start education for more children in Mississippi’s cash-strapped public schools, who too often start kindergarten behind – and stay behind. “This is, at best, a start. That’s about all you can say. All the other states are putting in substantially more money.” — Steve Suitts, vice president, Southern Education Foundation. Still, the money won’t solve the massive need for early learning in Mississippi, until recently the only state in the south with no publicly funded pre-K. Nine other U.S. states do not fund pre-K.
Only about half of low-income 3 and 4 year olds in the Magnolia state are enrolled in preschool, and some 35 percent of children live in poverty – the highest percentage in the nation. Year after year, teachers say, far too many children come to kindergarten unprepared. Some 71 percent of state teachers surveyed recently had at least one child repeating kindergarten; 41 percent said their children weren’t able to identify colors and shapes or hold a crayon, according to Mississippi Kids Count, which collects state data and statistics. 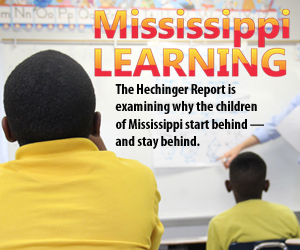 National studies illustrate why a lack of early education is a crisis in Mississippi. Fewer than half of poor children in the U.S. are considered ready for school at age five, compared with 75 percent of their moderate and high-income peers. Click to read our entire series. A 2013 study by Stanford University found that low-income students who do not attend preschool have already lost 1,400 hours of valuable learning time. A growing body of research has found that high quality pre-K programs can boost reading and math scores, teaching children important classroom skills like how to raise their hands and pay attention. For years, parents and Mississippi education advocates have fought for such benefits, battling a recalcitrant state legislature. Republican Gov. Phil Bryant has taken a cautious approach to pre-K; in a report released in January, Bryant said that he does not support mandatory pre-K, but is supportive of early learning programs that can prove positive outcomes. “The ultimate responsibility for a child’s earliest education rests with his or her parents and guardians,” Bryant said. Mississippi’s recent modest investment comes at a time of increased focus on quality early childhood education nationally. In 2013, the Obama Administration proposed a $75 billion program that would provide pre-K to more than 330,000 low and moderate-income 4-year-olds in America. The first phase of Mississippi’s new program is a small scale investment of just $3 million in matching funds, and it requires programs to meet certain requirements – like hiring qualified teachers and serving at least one meal a day that meet federal nutrition guidelines. They also must raise half of their operating costs on their own. After advocates and others argued that the money would not go far enough, lawmakers proposed legislation that would have increased the second phase of the pre-K rollout from a maximum of $16 million dollars to at least $20 million. The funding would have served more than 7,000 children, but the legislation died in committee. There are plenty of programs for 4-year-olds that need money to open or expand, said Robin Lemonis. Many were turned away; 19 collaborative groups that hoped to expand their programs were denied funding. “[Legislators] are aware that the three million that was appropriated fell very short of what the community or the state needs were,” Lemonis said. Some legislators say they are opposed to spending more money on pre-K programs that they believe may not have long-term benefits. They often cite a controversial Head Start study released in December that found that by the end of first grade, positive effects of the pre-K program had mostly disappeared. “I will not apologize for voting against a bill that grows government programs below kindergarten in a state that is desperately trying to manage an education budget which already consumes around sixty percent of the entire state budget,” Mississippi State Sen. Angela Hill (R-Picayune) said, defending her vote against state-funded pre-K last year in a written statement. Yet parents of pre-K students say the programs are a critical part of preparing their children, especially in the poorest regions of Mississippi. In Indianola, a rural Delta town where 49 percent of children under 5 live in poverty, Jessica Butler says the pre-K program at Spencer’s Kiddieland Day Care greatly improved her 4-year-old daughter Savannah’s social and academic skills. The legislature’s refusal to prioritize pre-K has left many programs in limbo, as teachers and parents question how long new pre-K classes will survive. For some, the money will mark the first time a district has been able to offer pre-K at all. That’s the case in the Petal School District just east of Hattiesburg, along with the Prentiss County School District about 30 miles north of Tupelo. In others, the grant money is being used to expand local programs in surrounding areas. Corinth School District has used federal money to fund five pre-K classrooms for the past two years. Corinth School District Superintendent Lee Childress said the district will now help fund Prentiss and Alcorn’s programs – as well as several private child care centers that will feed into them. “We’re that committed to pre-K education,” Childress said. In McComb, the district will help five private child care centers improve the quality of their classrooms. The funding will buy computers and materials, and will also pay for five teachers. 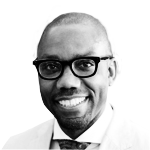 “Our thinking is that this might impact how those day cares begin to educate children,” said Cedrick Ellis, superintendent of the McComb School District, which already has a pre-K classroom. Advocates like Carol Burnett, executive director of the Mississippi Low-Income Child Care Initiative, say including child care centers in the program is essential because 33 percent of children under 6 in Mississippi attend a home based, family run center – in many cases, with untrained, uncertified teachers. Already, Mississippi’s investment in pre-K is significantly less than that of other southern states. Louisiana has funded preschool for over 25 years; 96 percent of school districts offer a state-funded program. About one-third of all four-year-olds were enrolled in a state pre-K program in the 2011-12 school year. In Georgia, nearly 60 percent of four-year-olds are enrolled in state funded pre-K. In Tennessee, 22 percent of four-year-olds are enrolled in a state program, and low-income children receive priority. In recent years, state officials have maintained Mississippi doesn’t have money for early childhood education. Suitts of the Southern Education Foundation disagrees, noting that a joint committee budget left $548 million in state funds unallocated that could be used for education. The state has already lost out on several chances for federal funding. In December, Mississippi missed out on receiving a portion of $280 million available to states through the U.S. Department of Education’s Race to the Top Early Learning Challenge. The six states that won were awarded between $36 million and $51 million to expand early learning programs. Lessons from pre-K that works: will Mississippi’s children finally move ahead? 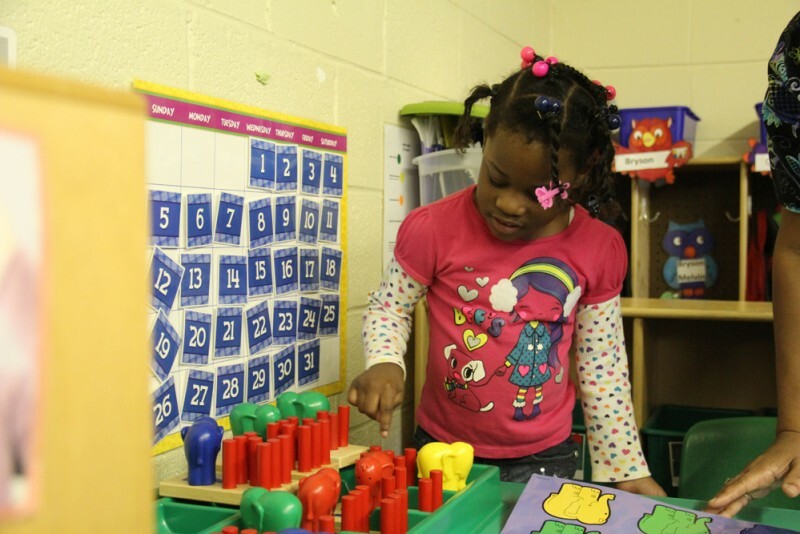 Existing pre-K programs say it’s a struggle to improve quality without spending money. “There’s a lot that goes into a space and comfortable environment for small children that you don’t even realize until you’re in it,” said Meghan Tooke of the Tallahatchie Early Learning Alliance, which will use $110,000 in grant money to start one pre-K classroom in each of the district’s two elementary schools and to support 10 pre-K classrooms at local Head Start centers and private childcare facilities. A 2008 report estimated that running a high quality pre-K program could cost as much as $9,076 per child each year. Mississippi’s pre-K law calls for just $4,300 per child for a full day program, with the pre-K program providing half of that amount. Many of the costs come from creating a quality pre-K environment. 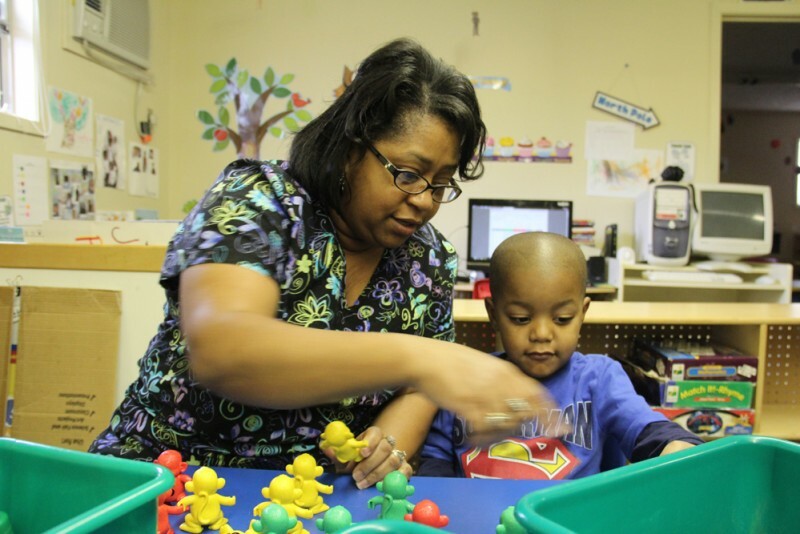 In Mississippi, childcare centers must be licensed to be eligible for the pre-K grant. Burnett says it can cost thousands of dollars to upgrade centers to meet the extensive list of standards. “Nobody is disputing that those environments need to be improved but the problem is there isn’t any money to help centers cover those costs,” Burnett said. Jennifer Calvert was able to improve her program when the private, Amory-based Gilmore Foundation stepped in and provided her center with a curriculum, a computer, and training for teachers. Danny Spreitler, executive director of the Gilmore Foundation, said the additional state money will help the foundation pay benefits for pre-K teachers and keep local child care centers focused on academics, with quality teachers.